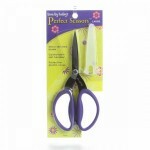 Embroidery Scissors 3.5" with Holiday Collection. 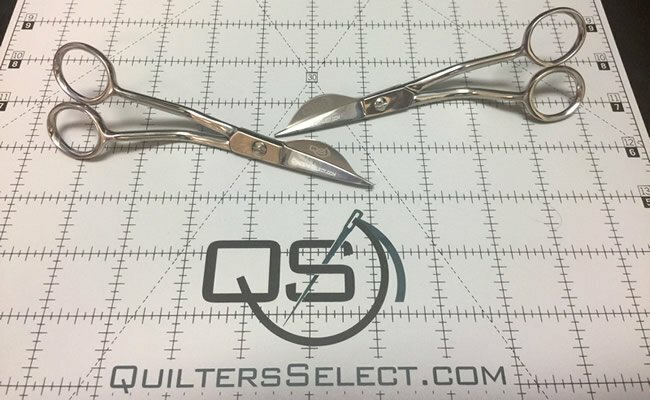 Embroidery Scissors 3? inch w/Polka Dot. 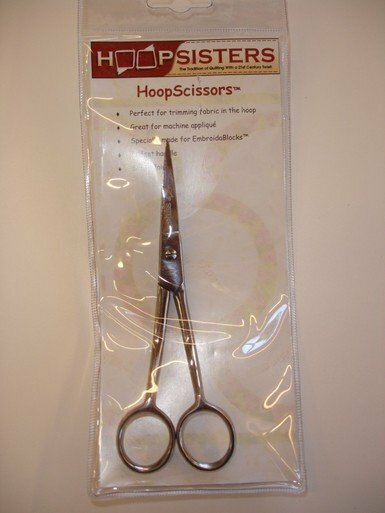 View Large Image Heirloom Embroidery Scissors 4"
HoopScissors from Hoop Sisters. Perfect for trimming fabric in the hoop. 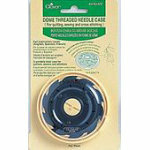 Great for machine applique. Offset handle. Sharp Point. 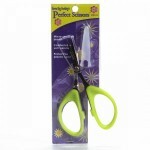 Perfect Scissors Karen Kay Buckley 4 inch Small Green. Comfortable Soft Green Handles 4 inch Micro Serrated Blade. Helps To Prevent Frayed Edges. Protective Plastic Cover. Perfect Scissors Karen Kay Buckley 6" Medium Blue. Advantages of micro serrated blade: keeps fabric from slipping so cutting is more accurate. Helps to prevent frayed edges and cuts up to 8 layers of cotton fabric easily. Protective plastic cover. 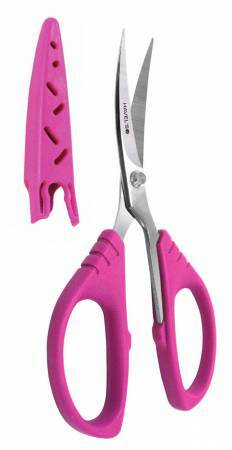 Perfect Scissors Karen Kay Buckley 7.5" Large Purple. Advantages of micro serrated blade: keeps fabric from slipping so cutting is more accurate. 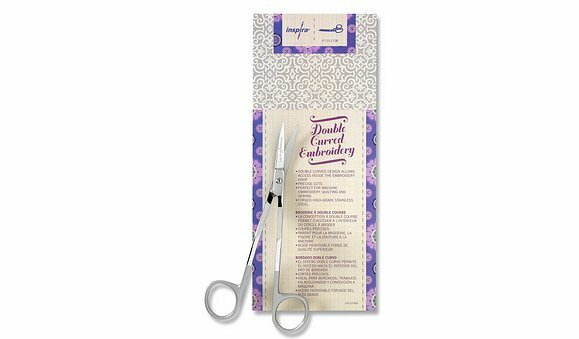 Helps to prevent frayed edges and cuts up to 8 layers of cotton fabric easily. Protective plastic cover. 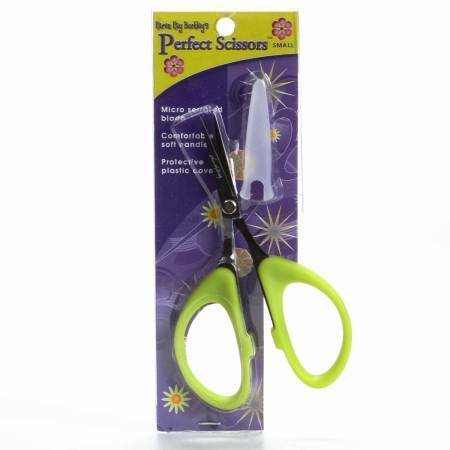 Quilters Select Wave Applique Scissors. German Grade Stainless steel blades. Super slim .05" width, curved wave blade. Quilters Select Wave Applique Scissors Left Handed. German Grade Stainless steel blades. Super slim .05" width, curved wave blade. 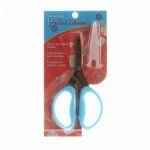 Scissors 6" Double Curved Machine Embroidery from Pickle Pie Designs. 'Gingher 6" Applique Sissors'. 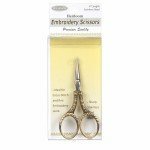 Ideal for applique work and rug making the paddle-shaped blade of these applique scissors pushes away the bottom layer of fabric for flawless controlled cuts close to the stitching.